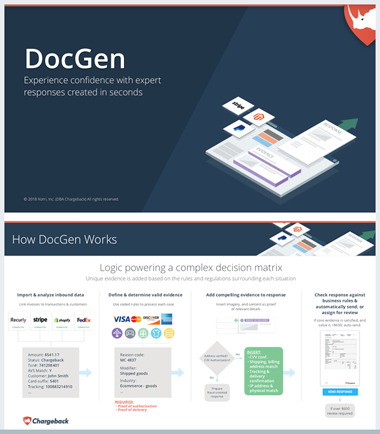 Meet your new expert system: DocGen. It applies programmed logic to compile robust dispute responses automatically from your data. For most companies, the “expert system” (aka the source of all the dispute response knowledge and process information) is one single person. What happens if your expert system changes roles? Leaves the company? Your entire dispute management operation can have the rug pulled out at any moment. Not to mention that creating a dispute response involves a high level of manual labor and research. In an attempt to ease the pain, merchants implement complicated excel work flows, “pick one that works best” templates, or a lot of guesswork. Every dispute is unique, and thanks to programmed dispute logic, DocGen in the Chargeback App automatically populates a detailed response for each case. 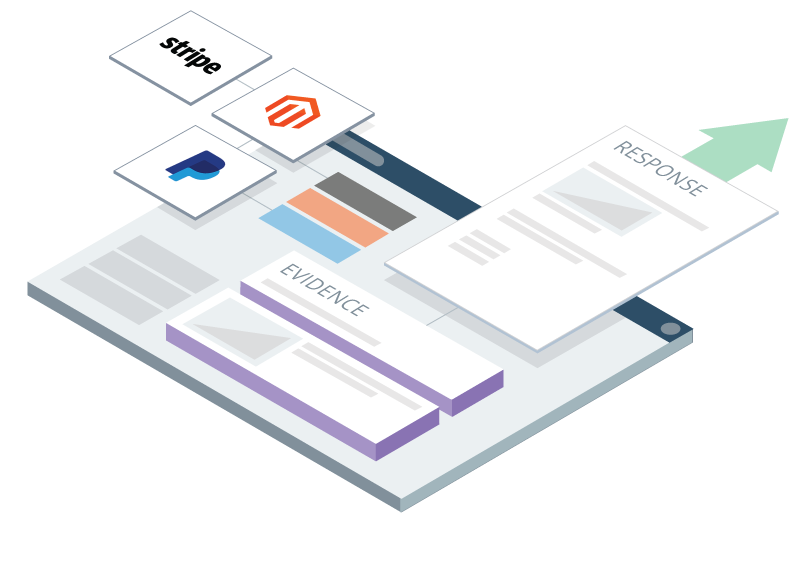 It processes all of the compelling evidence from your account integrations and build it into a single, beautifully formatted document. 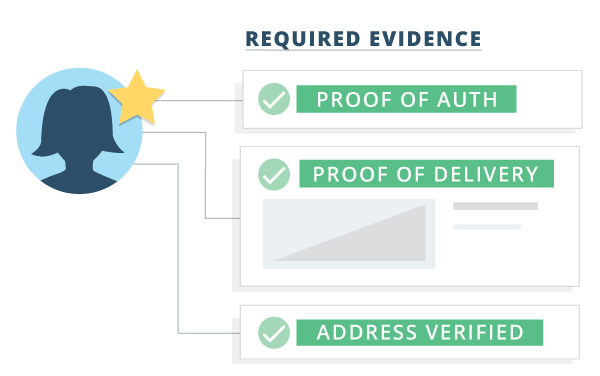 Response text and imagery is configured to address each card networks’ rules and regulations to ensure the most compelling evidence is presented for each reason code, transaction modifier, and industry. The Chargeback App provides expert guidance and support at every stage of the dispute lifecycle to ensure the recovery of lost revenue. This, combined with their knowledge of your company and customers, makes your employees the absolute best people to handle your company’s disputes. By providing your team dispute expertise, you increase your win-rate by creating the most effective response. Our system automatically generates and submits dispute responses in the format your payment processor requires. 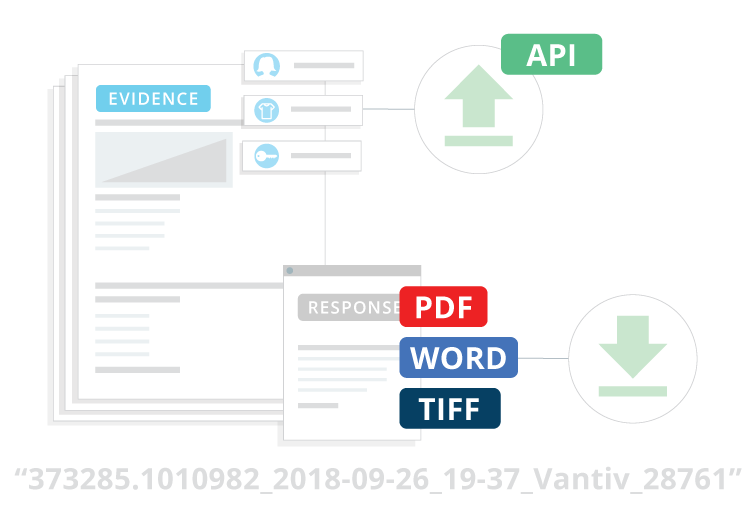 Teams are also able to download and view several different response file types, from PDF to Word and TIF. Detailed document titles are generated programmatically to match processor requirements, which are labeled with customer name, date, transaction ID, or other relevant info. Ready to empower your team with DocGen?